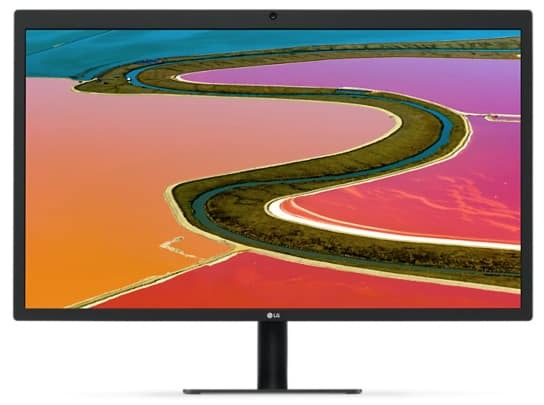 Pushed by Apple and even announced at an Apple event, alongside Apple’s new MacBook Pro, the LG UltraFine 5k monitor opens up new ways of looking at the high-end monitor market. An impressive display with elegantly simple design cues from a time not so long ago, with the refinement that nurtures thoughts of professionalism and class. This 5k monitor boasts an incredible 14.7 million pixels across a 27-inch screen, all the while, wearing its amazing range of colors with pride on a meticulously clear IPS panel. The LG UltraFine 5k display goes for a realistically classic look in an age where the future always seems like it’s right around the corner. Hard lines with soft edges, the LG UltraFine leaves just enough frame room to focus your attention on the alluring display while not being an immersion breaking distraction. The monitor also boasts a “no buttons” frame, polishing the clean look it goes for. It also packs in a pair of stereo speakers, a front-facing camera, and three USB type C ports. The monitor can also be adjusted to your desired stance; featuring a telescopic height adjustment lift for elevation and a smooth swivel for the angle. As far as audio/video connections go, the LG UltraFine is rather limited. It’s fitted with a lone Thunderbolt 3 port. This makes sense, given that Apple would like some sort of exclusivity with the monitor, seeing as it worked closely with LG to integrate its own technology into the monitor. Unfortunately, this also means that the monitor is effectively incompatible with anything without a Thunderbolt 3 port, which isn’t as common as an HDMI or DisplayPort. The display on the LG UltraFine is the coup de grace of this review. The display itself runs at a 5k resolution, which is 5120×2880. That’s close to five times your regular FHD 1080 monitor’s display range. With a 27 inch display, the LG UltraFine really uses that pixel density well, so well in fact, that no matter how hard you squint, you’re not going to be able to discern the gap between the pixels without some sort of aid. Incredibly crystal clear and pristine, the monitor instantly brings to mind the idea of a window to another world, sharp and vivid. The picture is almost hyper-realistic at times, with motion seeming so real that getting immersed without even knowing it wouldn’t be surprising in the slightest. All this is the work of a rather wide gamut of colors, similar to the technology used on Apple’s previous Retina displays. It’s beautifully topped off with an IPS panel that is clear enough to seem like it doesn’t exist but gives the monitor an immense level of depth that adds to the realism and makes viewing pleasure, at any angle. How viable is it as a gaming monitor? At 5k HD, and all the features included, the LG UltraFine is going to look amazing, no matter what you run. But keep in mind that you’d need a rather high end, modern graphics card to pull off a decent 60fps with most of the newer games. Bridging cards with an SLI or CrossFire bridge would work to your advantage with lower spec cards, in this case; and if you’ve got DX12/Vulcan to play around with, you’re going to get much more performance out of the bridges, without the need of CrossFire or SLI. Aside from that, there’s also the hurdle of that thunderbolt port. I understand that it isn’t every motherboard and system that gets shipped with a thunderbolt port and that not every gamer picks up a Macbook hoping to run Star Citizen ramped to the max. But if you happen to have one, this would pretty much be a sweet addition to your rig. Apple isn’t marketing this as a gaming monitor, per se, but is leaning it towards much tame tamer applications. The LG UltraFine 5k monitor is close to what a dream can feel like, but it is still a bit out of reach in the current generation, with the requirement of a thunderbolt port. Breathtaking visuals and sleek charm help sell the little piece of the future that happens to be stuck in our past. Maybe in a few years, the addition of Thunderbolt 3 ports on all our tech will make this a much more tempting deal. A great balance between price and cutting edge tech, at $1000, this monitor might just be worth the upgrades it would need to unleash its true potential and charm to an entire generation. If Apple gets this right, these babies will be the norm in a couple of years, which I’d gladly look forward to. Editor’s Note: The LG UltraFine 5K has been phased out for quite some time for several reasons. However, don’t fret since LG has spawned newer and better Thunderbolt 3-equipped monitors such as the LG 32UL950 or the LG 34WK95U. I am looking to buy a monitor for my 2018 MacBook Pro. I am concerned that this has been out on the market for a long time, as well as by your comment that this monitor has been phased out for quite some time. I tried Dell’s U3818DW 37.5″ Curved Monitor, but my MacBook would over heat after continued use while connected with Dell’s required USB-C cable. What is your recommendation? Hi, Wendy! We don’t think the issue is caused by what type of monitor you use. It could be a defect on your MacBook Pro or due to insufficient or incorrect thermal paste application in the laptop’s innards. The latest MacBooks are notorious at overheating due to these factors since they are so slim. We recommend checking with Apple’s customer service as well. As for the monitor recommendation, we’d like to know your budget limit first if you don’t mind so we can narrow the choices down further. Cheers! it brakes …. May I simply ask to anyone out there is the monitor relaible does it brakes…….? Hello Edwin, The LG UltraFine 5K should be more than reliable since it is conceived together with Apple who is extra meticulous regarding products that are Apple-certified. We have yet to hear from other readers regarding any breakdowns or malfunctions on this device. Cheers! Ready to purchase but not finding any chatter anywhere about how it actually works for photo retouching. Really don’t care what it looks like, is it a good tool for professional graphics? Time to upgrade my monitor as I upgrade my MacBookPro – buy LG or buy another Eizo? Hello Waldemar, The LG UltraFine 5K monitor is awesome in its own right, and it is one of the top choices if you want to utilize USB-C. 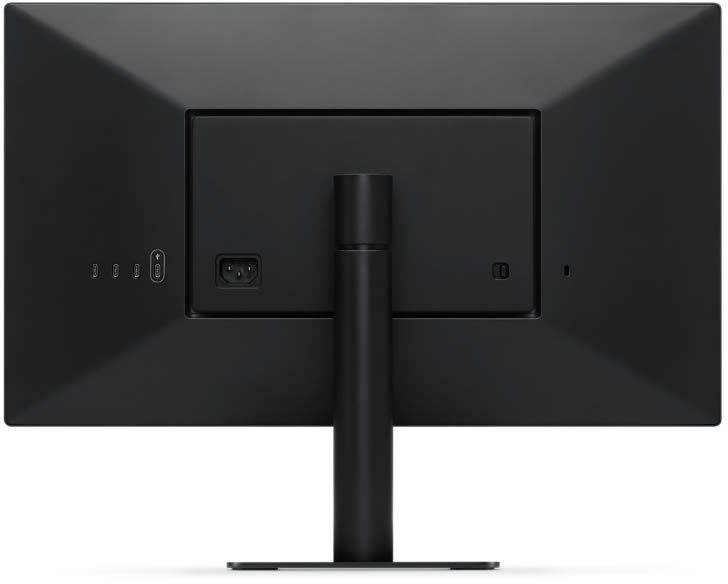 There are other 5K monitors from Dell and Philips which are better in some regards, but neither have USB-C functionality. You might need an adapter if you choose the other brands. Good luck! The design and the frame is rather clumsy and uneven. Having a larger frame (too large anyway) in the top than in the bottom is plain ugly. Not even the camera was put in the center. Steve Jobs would be devastated to have to go along with this design. I was hoping for the past year that something new and more beautiful not necessary better was coming to the market. Nothing. So no new monitor for me. Hey, Erik! We agree that the LG UltraFine isn’t the prettiest out there despite coming from two firms who are big on aesthetics. I guess the engineers were indeed banking on its capabilities more than looks. Thanks for the review. Can you tell us whether this has a glossy or matte finish screen? I have read the review – do you know if HDR is included in the specs of the monitor, or available for viewing streamed content? I see that stereo speakers are included on the LG Ultrafine 5K Display, and a camera is included. Do you have details or a review of the LG Display’s audio and video capabilities? The UltraFine 5k doesn’t support HDR, unfortunately. It isn’t a part of the Premium UHD standard, either, where most of the premium 4k+ displays reside. The speakers are high fidelity and come with LG’s RichBass tech. They can get pretty loud, but tend to sound best when they aren’t being overdriven. As for the camera, it looks like a 1.3mp cam ( might be wrong here, judging by eye ) that is paired with a microphone and is capable of recording video at 720p. Apple suggests that it was included to be used with FaceTime, but when connected to a thunderbolt-3, you’re set to use it anyway you please. I haven’t found a review that says whether or not the display can swivel through 90 degrees (landscape to portrait). Do you know if it does and, if not, whether there are any 5k alternatives for the new MacBook Pro that do? It can’t go between landscape and portrait :(. It does swivel, but only about 30 degrees. The stand can be easily replaced though, allowing for a stand that does swivel 90 degrees in to portrait mode. Any of the “VESA” or standard wall mount type stands will work with it. As of right now, I’m not aware of any other 5k monitors that support thunderbolt 3 or usb-C display. This is not a review, it’s a PR text and pure advertising I am sorry to say. The writer seems to be skilled in writing poetic words, but show me the review part which deals with hands-on and real life experience? Hi Simon, Thank you for your honest opinion. I have forwarded your comment to the author. Hey Simon, I get what you mean about not being more hands on. Thanks for the critique as well, I’ll keep it in mind and try to apply it and keep things a bit more engaging with the tech specs further on. We aren’t affiliated with Apple or any other company, btw. I wrote the review as just that, a review based on my observations. I was very taken up with the monitor and it does have some very impressive specifications. I tend to get carried away when I get to play with tech this cool :p.
This is a very nicely written review. Such nice use of wording, making it an enormous pleasure to read. Thank you to the writer.